When you walk away from your PC, you should always lock it. But sometimes you forget. Here is how to make Windows 10 automatically lock when you want it to. When you walk away from your computer, you want to make sure to lock it so other people can’t access your machine and its data. You can, of course, manually lock your Windows 10 PC down by hitting Windows Key + L or Ctrl + Alt + Del. But sometimes you forget. The cool thing is you can make Windows 10 to lock automatically after a set time of inactivity. Here is a look at a few ways you can set this up. This is probably the simplest method and an old trick. Open Start and type: change screen saver and click on the “Best Match” result. 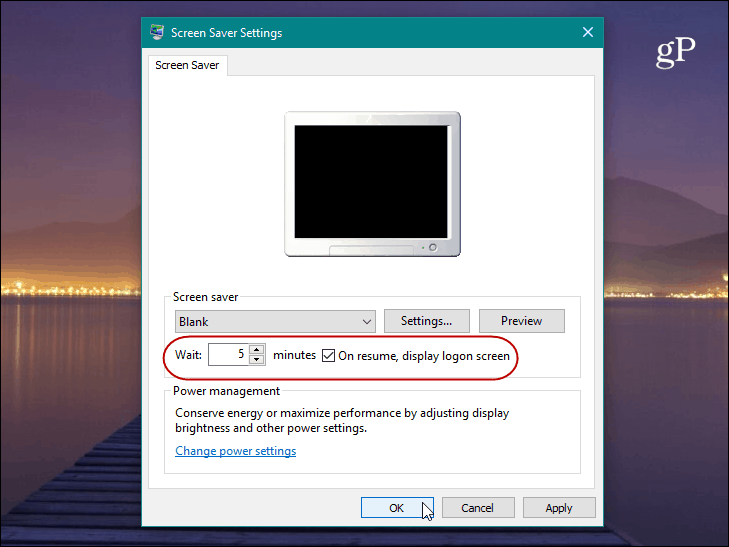 Next, the Screen Saver Setting windows will come up. Set your screen saver to something from the dropdown list. Personally, I just use the “Blank” option. But the important thing to do is make sure to check the “On resume, display logon screen” box and set the “Wait” time to however many minutes you want and click OK.
That’s all there is to it. After the period of inactivity that you set up, your screen saver will come up and require you to enter your PIN or password to unlock it. Now, time to get geekier. 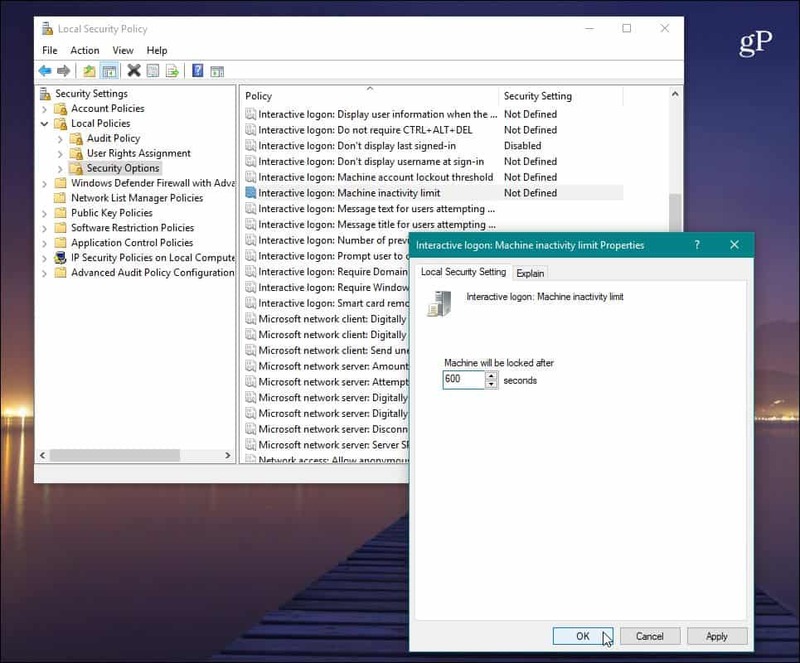 If you’re running the Pro version of Windows, you can use the Local Security Policy feature. To launch it, hit Windows Key + R and type: secpol.msc and click OK or hit Enter. 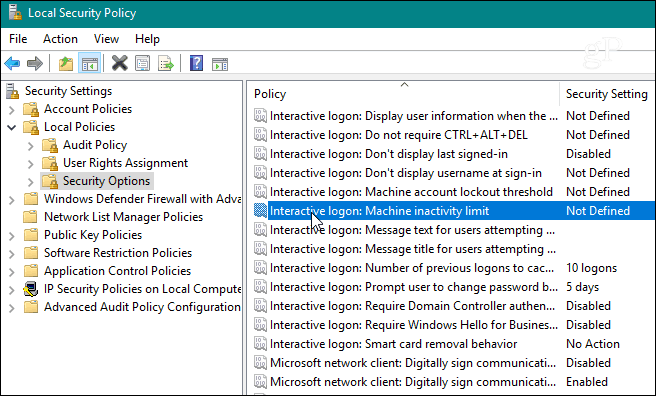 Open Local Policies > Security Options and then scroll down and double-click “Interactive Logon: Machine inactivity limit” from the list. Enter the amount of time you want Windows 10 to shut down after no activity on the machine. When the Limit Properties window opens, you can type in an inactivity limit between one to 599940 seconds. Just keep in mind that the max is 166 hours, and you won’t want the number of seconds too low as it would get annoying to have your PC lock all the time. When you’re finished, you need to sign out of your session or restart your PC for the changes to take place. When it comes to figuring out the number of seconds to use, here it’s good to use some time unit conversions with your favorite search engine. For example, 10 minutes would be 600 seconds. If you are running Windows 10 Home, you don’t have access to the Local Security Policy tool. However, you can do the same thing by hacking the Registry. But this is a method only experienced users can try. 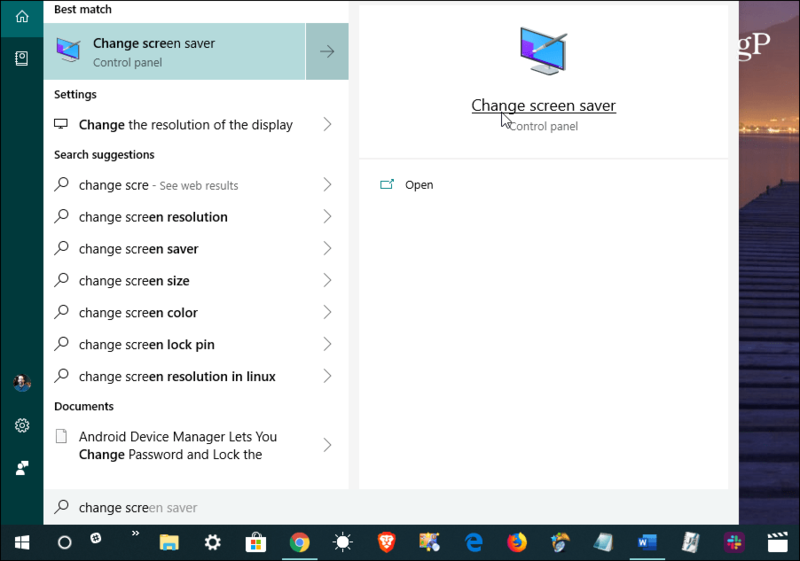 If you’re on Windows 10 Home, you might just want to use the Screen Saver trick. Important: Remember that tweaking settings in the Registry isn’t for inexperienced users. Changing the wrong thing can take down your whole computer. Before making any tweaks to the Registry, make sure to back it up first, create a System Restore Point and have a full backup image ready in case you need to recover your system. To get started, hit Windows Key + R and type: regedit and click OK or hit Enter to launch the Registry. 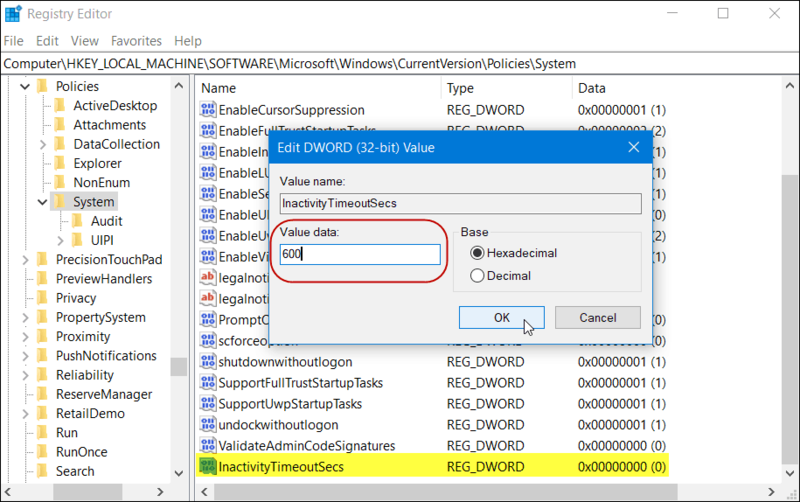 Now create a new 32-bit DWORD Value called InactivityTimeoutSecs and give it a value between 0 or 599940 – again, that is the number of seconds of inactivity you want to pass before locking your system. Then sign out of your session or restart your PC for the settings to go into effect. If you want to change the time, just go back into the InactivityTimeoutSecs key and change it. Whether you go the simple route or get geekier by digging into your system, this is a good thing to have set up if you walk away from your machine and forget to lock it down. You will need to change the time values depending on the situation you’re in, but having the auto-lock backup will provide extra peace of mind.